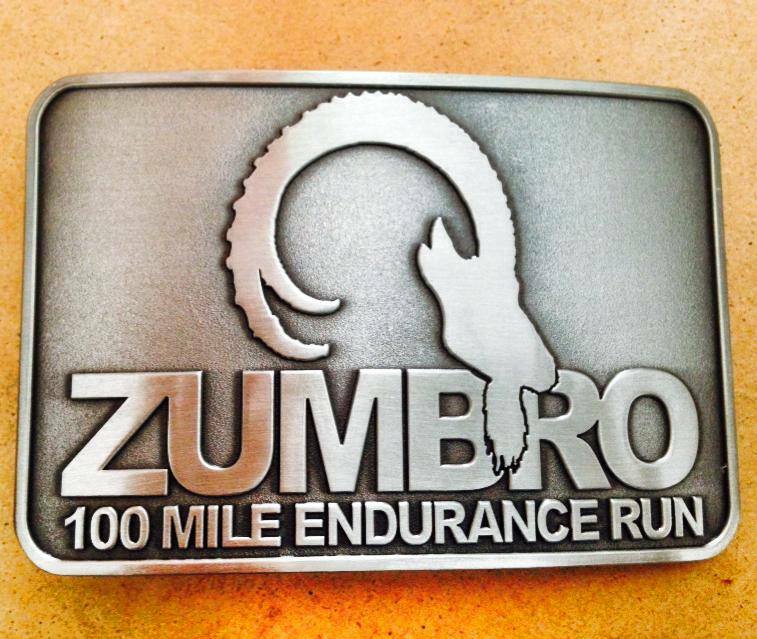 The information contained on this page (and associated links) are considered the official participant guide for the Zumbro 100 Mile Endurance Run. Runners at a minimum should familiarize themselves with all of this information prior to registering for the race and then again prior to running race as we will update this page up until a 10 days or so before the race. Runners should share this information with any pacers, crews or spectators that they plan on having join them at the race. Race Founded in 2009, 100% trail Race & Minimum Maintenance Gravel Roads, Located 1:45 South of Minneapolis / St. Paul MN, 6 x 16.7 mile loops = 100 miles, Elevation Gain 18,588 FT, Elevation Loss 18,588 FT, NET Elevation Change 37,176 FT, 29 Aid Stations, 34 hour time limit. The Zumbro Endurance Run 100MI, 50MI and 17MI trail races take place within the Zumbro River Bottoms Management Unit in Southeastern Minnesota’s Bluff Country – just outside of the tiny village of Theilman, MN approximately 1:45 from Minneapolis – St.Paul, MN. The races start and finish at the West Assembly / Horse Campground Area. Generally speaking the Zumbro River Bottoms Management Unit lies within a portion of the Richard J. Dorer Memorial Hardwood Forest – an expansive 1.7 million acre tract of Minnesota hardwood forest on the Northern edge of the Driftless Region which is mainly characterized by its tall bluffs and deeply carved river valleys. This “bluff country” is rugged, hauntingly beautiful and provides the perfect venue for 100, 50 or 17 miles of trail running – while this is certainly not an “easy” trail race it can still be a great choice for your first 100, 50 or 17, that is if you are ready for a good amount of climbing / elevation gain. Entry fees are not refundable under any circumstance. 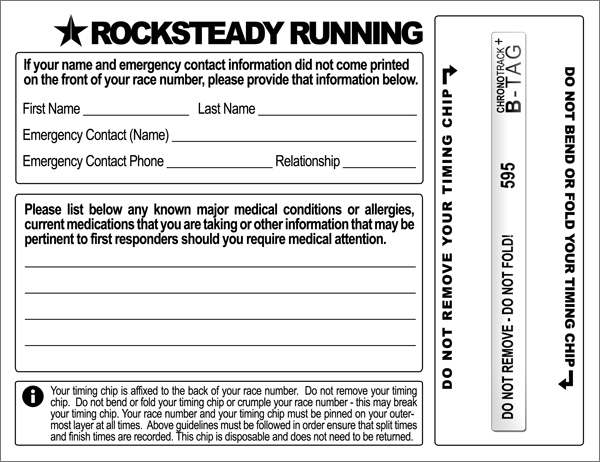 Race registrations are not transferable to other participants, to future years races or to other Rocksteady Running events. We do do not allow transfers race between distances. Please consider these factors carefully before registering. A well marked course with plenty of aid and tons of friendly, experienced volunteers. Runners who register by March 13th will have their name custom printed on their race numbers. All 100 mile finishers will receive a BELT BUCKLE and a wood medal. All registered runners that show up on race day get an awesome Rocksteady Running Tri-Blend (read; non-technical / casual cotton blend) T-Shirt with a super cool design, Shirts are unisex but fit both genders really well – you can see the current and past years race shirts HERE. The race start is approximately 1:45 South of Minneapolis, Minnesota. Airports in Minneapolis St Paul (MSP), Rochester (RST), and Lacrosse(LSE). Parking is limited at the race start / finish area – WE STRONGLY ENCOURAGE CAR-POOLING. If there is snow and ice on the ground when you are making your way to the race, we prefer that you take the route utilizing Wabasha County Rd 4 and come in through the town of Theilman (as opposed to the gravel back roads that Google Maps may route you on – these roads can become very hazardous if snow and ice are present due to how steep the hills are – that said this route is perfectly acceptable when snow and ice are not present). If you come through the town of Theilman, PLEASE drive very slowly / cautiously through town – this is a VERY small community that is not used to seeing much traffic this time of year, so please be VERY respectful. The Zumbro Bottoms West Assembly Campground does not have a “parking lot” per se’, it is a campground and is setup as much, there is quite a bit of space as long as people park sanely / respectfully, please do not double park or park in any muddy areas. Those not camping please drive all the way to the back / far end of the campground and start filling that space first. There is no lodging available in Theilman, MN but there is rustic camping available at the start / finish area for a fee. Camping is available right at the start area for tents and RV’s (note that there is no water or power hookups and the wells at the campground are not on this time of year). There is self serve registration near the entrance. The daily camping fee is $16.00 per night (subject to increases) – be sure to pay the fee! Pre-registering is not necessary. More info can be found on the DNR website HERE. Cookout is free for runners and we will have a jar out with a suggested donation for non-runners so your crew and family can eat as well. Volunteers are welcome and encouraged to attend as well. There will be no formal race briefing – (read; this is VERY low key.) Menu will include pulled pork, veggie burgers, chips, fruit, cookies and drinks. Friday April 12th, 630-7:30 AM – Race-morning packet pickup if you did not get yours on Thursday – ALL RUNNERS MUST CHECK IN AGAIN ON FRIDAY / RACE MORNING SO WE KNOW THAT YOU ARE STARTING THE RACE. We will do a quick race-briefing at 7:55 AM / 5 minutes prior to the race-start. Please keep your drop bags as small as possible. We will take drop bags during packet pickup on Thursday evening – we will also accept drop bags up until 7:00 AM on race morning. Each drop bag must be clearly labeled with the race distance, runner’s name, race number, and the drop bag’s destination / aid station name – Aid Station 1/4 – Bridge, Aid Station 2/3 – Sand Coulee, Aid Station 5 – Start / Finish. Race numbers will be assigned a few days before the race start and will be available on the website. Your drop bag may not be available at Aid Station 1 or 2 on your first loop as they come fairly quickly and we need time to get the drop bags out to their destination. Please do not put valuables or liquids (cans of pop, Red Bull, etc.) into drop bags. Runners may also return to their vehicle in the West Assembly area after each 17 mile loop, essentially using their vehicles as a “drop bag” – please be sure to cross over the timing mat either before or after you head to your vehicle, but not both / two times (only cross the timing mat once). Drop bags will not be returned to the finish area until the end of the race (6:00 PM Saturday) so we ask that you only put items in your bags that you are happy living without should you need to leave before drop bags are back. Items left behind will not be mailed to participants and will be donated to charity. Every year runners get caught in a section without lights and it has a serious effect on their race! Use your drop bags, crews and plan accordingly. Early to mid-April in Minnesota – we can have highs in the mid-70’s and lows in the low-30’s or, believe it or not, a combination of both! Usually, all of the snow will be gone and the trail should be in good shape, but often times patchy snow /ice and mud will linger. Be prepared for all weather and trail-conditions, watch the forecast and plan accordingly – typically, this is a beautiful time of year to run in Minnesota. Due to a record setting blizzard and hazardous driving conditions the 2018 edition of the 17 mile race was canceled, article HERE – the 100 and 50 proceeded “mostly” as normal – please familiarize yourself with our cancellation / refund policy. Zumbro River Bottoms / Management Area – West Assembly, Friday April 12th, 8:00 am. All runners must check-in race morning by no later than 7:30 AM – if you fail to do so, you are not officially in the race – this is your responsibility. We will do a quick pre-race briefing at 7:45 AM / 15 minutes prior to the race start. Because the 100 mile race is not the only race happening during race weekend (50 mile starts at 12:01AM Saturday and 17 mile starts at 9:00AM Saturday) we have often thought about implementing a “back bib” / race number for 100 mile runners, rather than do that now and make it mandatory we came up with the idea of a piece of pink ribbon. You are welcome to take the piece of pink ribbon and tie it to the back of your hydration pack, waist belt etc. so you can easily be identified by runners doing the other distances, hopefully you will get some cheers and passed with care by these fresher / more energetic runners. It is NOT mandatory that you participate in this but it is there as an option and has worked well over the last few years. The course will be marked with Orange flags with reflective strips, which will always be on the left hand side of the trail except in the rare occasions where there will be two-way traffic, in those areas the flags will be on both sides of the trail – reflective arrows will be used sparingly as well. It is unfortunate but is not unheard of at many of the major trail races that course vandalism has occurred and flagging has been intentionally moved or removed by small minded individuals – it is important that you study the course prior to running and have a concept of where you are going. If you have special dietary requirements, please make sure to make use of your drop bags. We cannot guarantee that all of the above foods listed will be available at all times, if there is a nutrition item that could “make or break” your race, be sure to make use of your crew, drop bags or plan to carry what you need. Pacers are allowed in the 100 mile starting at mile 50 / at the West Assembly Area – Pacers may not “mule” for runners. Runners will pick up pacer bibs along with their bib numbers at the pre-race meeting on Thursday night or on Friday morning – all pacers must wear this. 100 mile runners may have ONE pacer at a time starting at mile 50 and may have up to two pacers for the last 17 mile loop of the race. If you are looking for a pacer ask a friend, someone in your local running group or check the Upper Midwest Trail Runners Facebook Page. Usually the best thing is to find someone who knows you as a runner – preferably someone you have done long runs with or have run long races with – that way they will know how to read you, anticipate your needs, push you when needed and hold back when required. If you don’t have someone like this to help, another experienced ultrarunner will work. What you don’t want is someone that you will end up having to take care of. 100 mile runners are allowed to have their own support crews and have spectators come see them, however your crews may only give you aid at official race aid stations. There is no vehicular access for crews or spectators to aid station 1/4 (and thus 2/3). The Minimum Maintenance road leading to Aid Station 1/4 (Bridge) and Aid Station 2/3 (Sand Coulee) is narrow and in poor condition and not suitable for a large number of cars. If runners crews, pacers or spectators are found driving to the aid stations – their runner will disqualified. For crews, pacers or spectators who wish to meet their runner at these aid stations they may hike to meet you – we will mark some shortcuts (for crew members only – not runners) who wish to make this hike. Crew, family and spectators need to be sure to dress appropriately for hiking on sloppy trails, have a headlamp or flashlight and be sure to give the right of way to the runners when they are on the trail. Crew should be sure to study and print the course maps on the maps / data page of the website. Please note, that this may be a very strenuous hike for some people. We thank you for your understanding, these decision are made based on variable Spring road conditions, field size, for the safety of race crew, family members and friends of the runners and to save your vehicles and the road from damage. For those crew / spectators that are unable to, or do not care to make the hike, we will be running a shuttle van between the Start / Finish area (Aid Station 5) and the aforementioned Aid Station 1/4. The shuttle will run fairly regularly but we make no promises that it will be there right when you want to leave, so be prepared to wait OR make the hike if you fear missing your runner. Due to our past experience with people wearing headphones we discourage their use however we won’t tell you can’t wear them. Full awareness of one’s surroundings, and the ability to communicate with other participants, race volunteers, and trail users not associated with the event are critical to everyone’s safety. Playing music out-loud from your phone or other speakers is prohibited – violators are subject to disqualification. The finish line cutoff for an official finish is 34 hours (Saturday, 6:00 pm) thus you must average 3 MPH (20:00 minutes per mile) in order to finish the event within the time-limit. All cutoffs will be strictly enforced – we do however reserve the right to pull (or allow to continue) any racer as we see fit – if you are uncomfortable with those terms, consider running another race. You must make (mile 83.5) and have started your 6th / final loop (left the aid station) by 12:45 PM on Saturday. Should you need to drop out of the race, remove your number and your chip and give them directly to the HAM radio operators at the aid stations you are dropping at – if you are not sure who that is ask around until you find them. If you leave the course and fail to notify race officials, you will be asked not to come back. We do not do an official awards ceremony, instead we hand our awards as award winners cross the finish line. Results will be updated regularly at the finish. Preliminary results will be available on the website within a couple of days of the finish – final results (with any corrections) will be posted on our website within a few weeks of the end of the race. Any personal items left after the race (including drop bags) will be donated to a charity. We will not ship items to you. We are always looking for them. Do you have friends and family coming but don’t really need them to follow you around to crew – see if they want to volunteer. Learn more HERE. The race is typically the 1st or 2nd weekend in April – The 2020 date will most likely be April 10 & 11, 2020 BUT THIS IS SUBJECT TO CHANGE. The Zumbro races are always held the weekend before Minnesota Turkey Hunting starts – sometimes these schedules are not released until late fall of the upcoming year.